Well, after finishing up my "Eastward Bound" gallery, I was left wondering where the one was for Bryce Canyon and all the sidetrips I took there. I found this one, but it only had a dozen photos in it, so I got Photoshop fired up and fleshed it out some. This was one of my greatest summers for pictures and I can't believe I didn't do one up till now, especially since the "Westward Ho!" 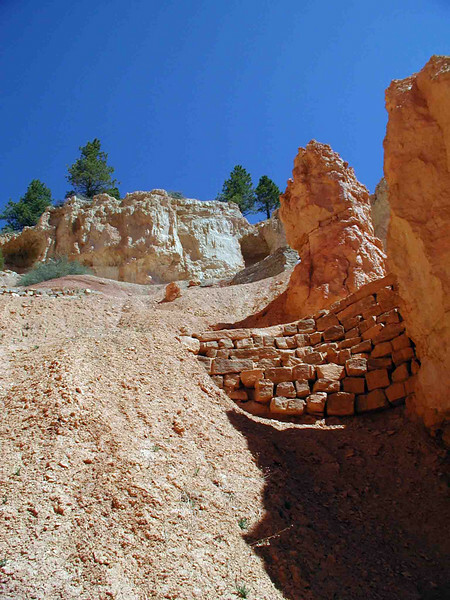 gallery -- the one for my trip from Acadia to Bryce Canyon -- actually predates this one. Huh. I just can't figure myself out sometimes. Oh, well, enjoy the show, anyway. Now you get the idea. Look at all the rock used to build those retaining walls. I wonder where they quarried it all, as I never saw any evidence of quarrying in my travels here.